Video folders are "places" on your server that are accessible to SnapStream. 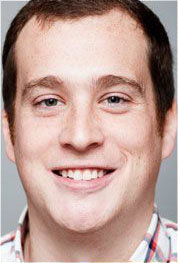 Video Folders are a tool for organizing media in SnapStream software, not physical locations on your hard disks. 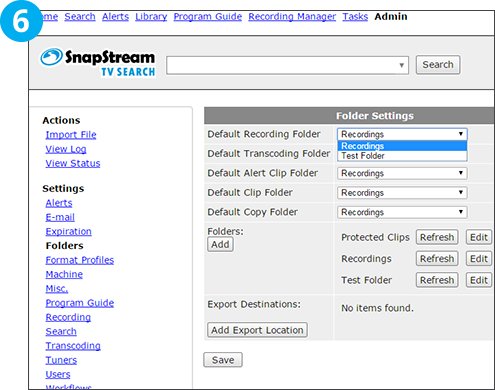 SnapStream administrators can create and set folders for such tasks as new recordings, transcoded recordings and clips. This how-to will show you how to create basic, single-path video folders. 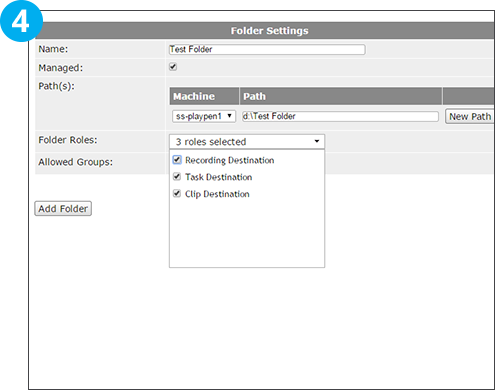 Folder Settings shows the default folders for tasks such as recording, transcoding, alerts, clipping and copying. To add a new folder option, choose “Add”. Choose a name for the folder. 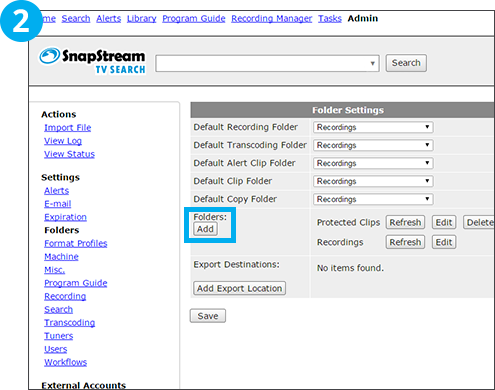 You can check or uncheck the “Managed” button depending on whether you would like the folder managed by SnapStream. If this setting is enabled, Enterprise TV will automatically delete files from this folder when storage space is needed. Next, enter a path for this folder, for example, “D:\Test Folder”. 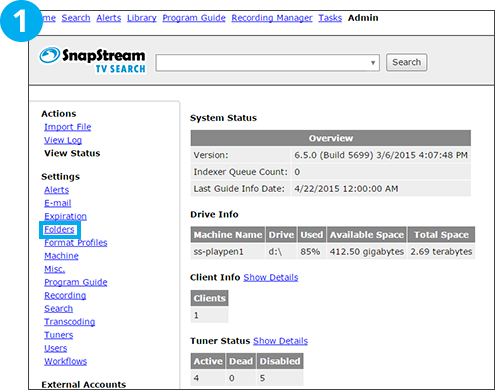 If the folder does not exist, SnapStream will create the folder. 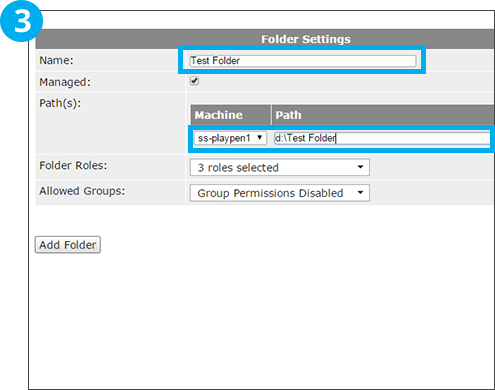 The “Folder Roles” picklist allows you to specify the active roles for the new folder. 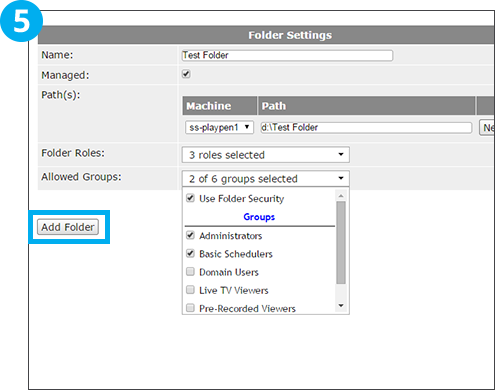 You can allow only certain user groups access to the folder by choosing the “Use Folder Security” option and choosing the user groups allowed access to the folder. When finished select “Add Folder”. Once completed, your newly created folder can be selected as the default folder for any task under Folder Settings.